Beautiful feathers are a mainstay of free-motion quilters everywhere, but sometimes you find yourself ready for something a little different. In this class, you will learn how to build feathering skills to include new shapes and styles of feathers. 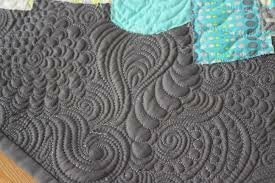 Then, you’ll learn to easily customize them to your quilting projects, both as all over designs and in designated spaces.